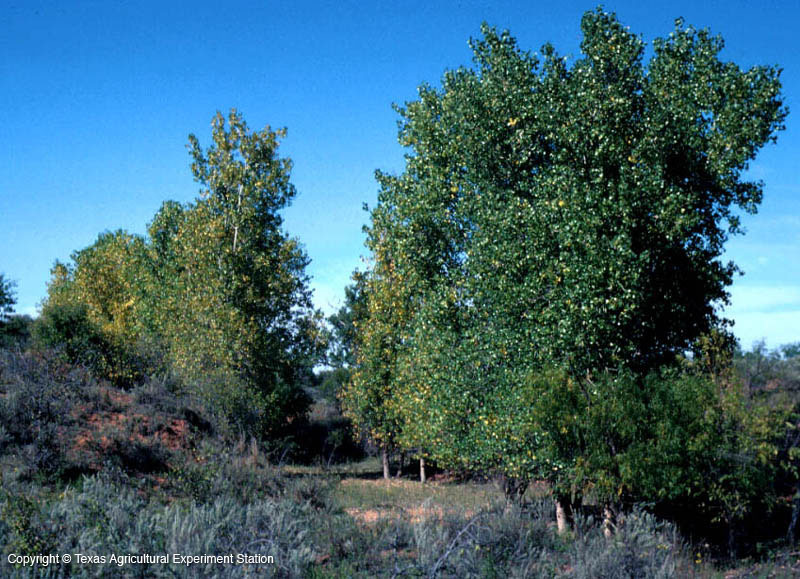 Plains cottonwood is found in the Rolling Plains regions of north central Texas and the panhandle. 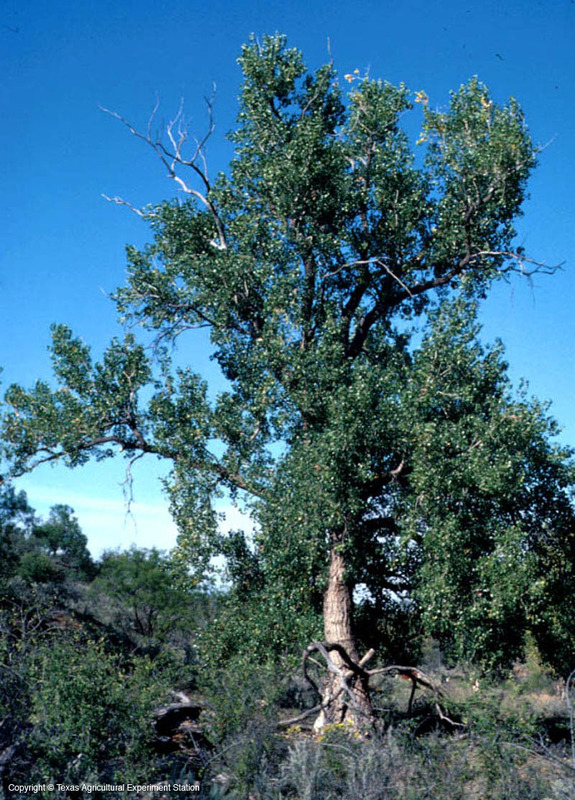 It is essentially a smaller version of eastern cottonwood; it doesn't live as long and occupies a harsher, drier climate. It has only about half as many teeth on each side of the leaf blade as eastern cottonwood's, and the bud scales are hairy rather than smooth. And it comes with the same caveats regarding planting on small residential lots.